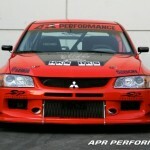 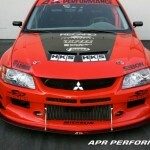 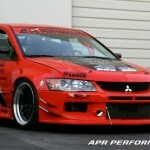 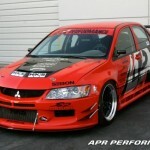 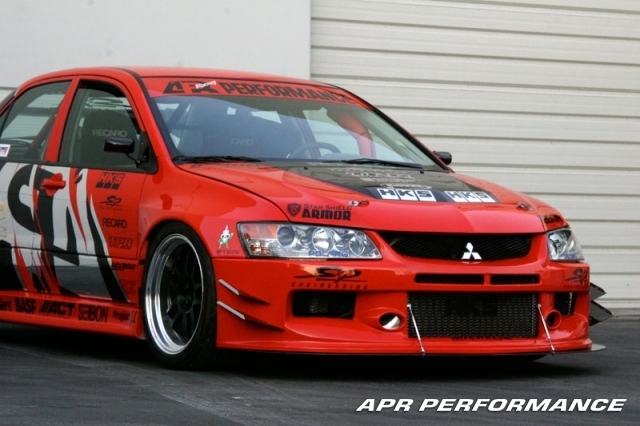 Making it's official debut at the 2004 SEMA Show in Las Vegas, the EVIL-R Evolution is APR Performance's development for the 2003-up Mitsubishi Evolution. 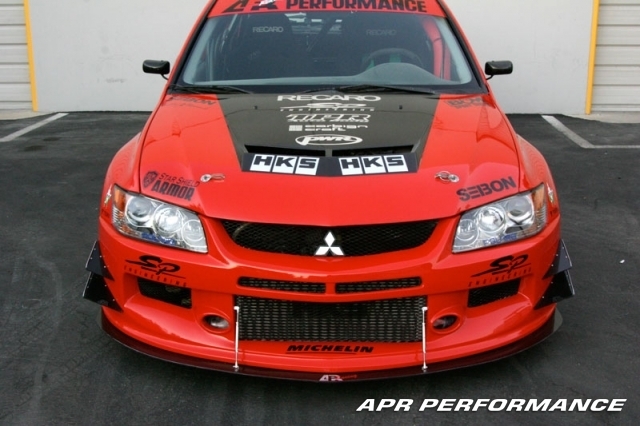 APR Performance has introduced bolt-on products such as the GTC-200 Carbon Fiber EVO Spec Wing and Carbon Fiber Wind Splitters for the Evolution. 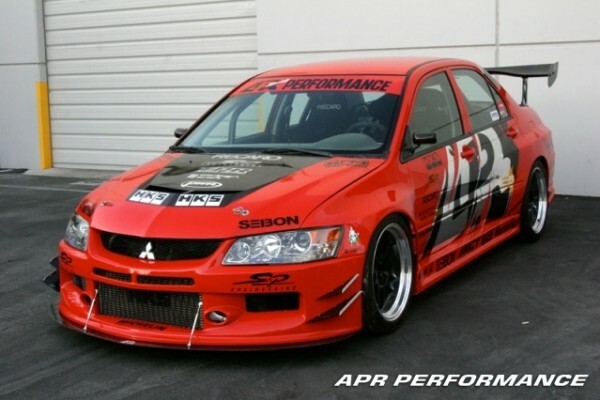 These track tested products have made many improvements for Evolution owners lap times. 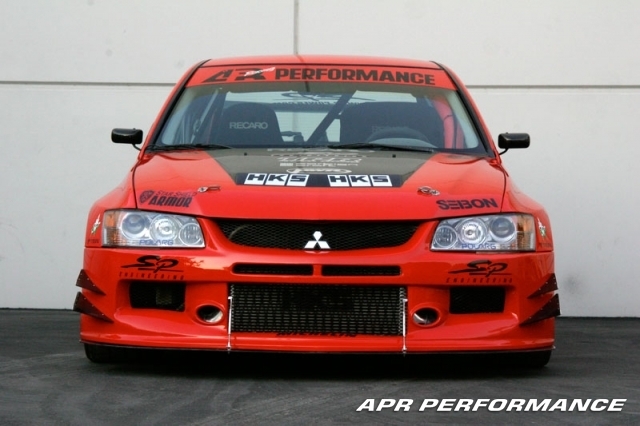 However, for those putting out massive amounts of horsepower from their Evolution, finding a way to increase traction has been the most important factor to faster lap times.